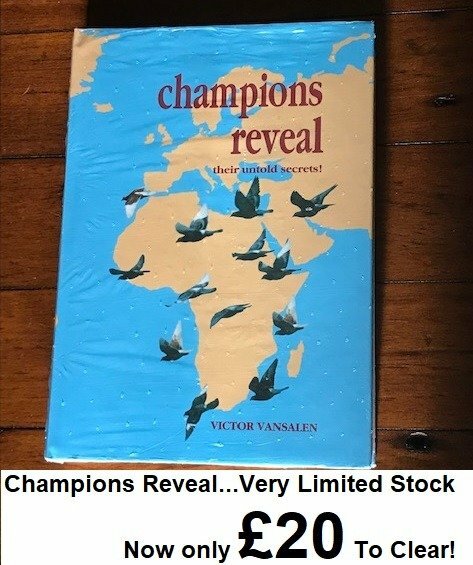 The world Pigeon Sport best seller by Victor Vansalen published by De Duif…. English version still in Factory Wrapping…. Very Limited Stock Available to clear only £20 per copy. Only available for collection at the Syndicate Lofts Stand or from Stuart Wilcox Auctions in the Savoy at Blackpool.